I’ve just finished riding my mountain bike through park trails, up and down hills, and return home out of breath and very thirsty. I grab my water bottle craving a quench to my thirst, so I gulp, and gulp as fast as I can… too fast. I completely mess up my body’s breathing rhythm and BAAM! I hiccup…hard! It’s not only uncomfortable, sometimes painful and embarrassing in public, but it takes perhaps 2-3 minutes or more to rid yourself of them, right!? What is this malfunction and why does it even exist? Later in the evening relaxing on my couch from a fabulous day teaching little Energizer Bunnies followed by that wonderful strenuous bike-ride, with a purpose I’m reading Tolstoy’s War and Peace before bed. About the third paragraph, page 2 I believe, I slip into what I think was Never-never-Land and suddenly jump, snapping out of sinking pure relaxation into a VIOLENT jolt! Ouch! What is this malfunction and why does it even exist!? Knowing is the First Step to Prevention, Right? Not so fast. Turns out that what your parents explained or grade school proposed as the menacing ailment and proven cure, may not be the whole story. The Hiccup — The police Sargeant opens up the Jerkiness File, pulls out a 4×10 magnet and throws it up on the “Open Cases” investigation board. It sticks and reads “Diaphragm, T.” Our first accomplice! The young rookie cop asks, “What’s the T for Sir?” Sargeant takes a pause, “Pyle,” he grunts “it’s so your penile brain doesn’t make its normal sexist associations!” Who is this and what’s its function? 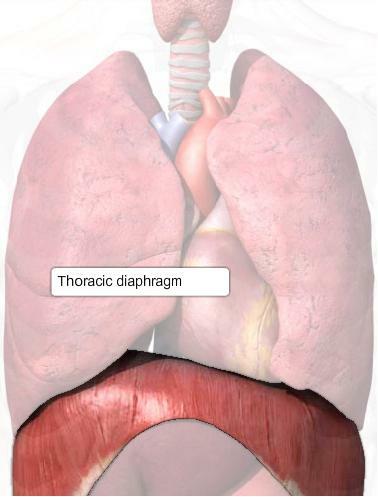 Diaphragm…first name Thoracic, is the shifty muscle behind all the business. He sits just below your chest working perfectly and secretly as you breath; the Accountant of the operation, if you will. His function? He pulls down when inhaling to bring in business (air), and he relaxes so business is released when your lungs exhale. It’s a regular respiratory black-market! But there’s a nastier side to Diaphragm. 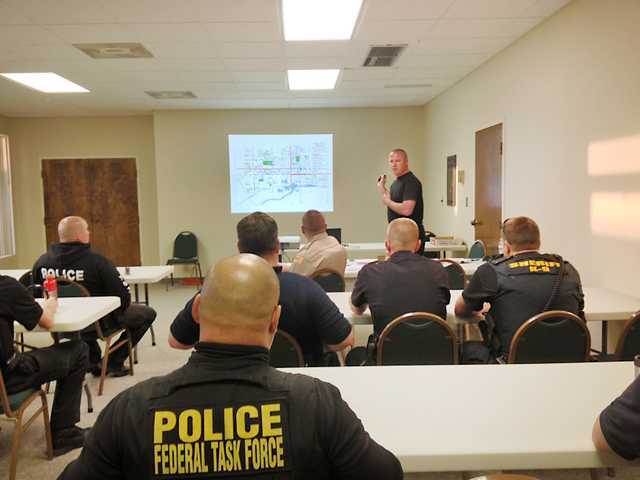 The room of officers fall silent…what? What could be more sinister? The Sargeant’s voice deepens, “Sometimes Diaphragm gets irritated and when he gets irritated, nobody is happy!” Apparently when he’s pissed, he pulls down hard and fast sucking air down your throat! When that rushing air hits your voice box, your vocal chords slam shut giving that hiccup jerk! “Accounting” just closes business down and everything becomes very uncomfortable until Diaphragm returns to normal. That’s the school version, maybe your parent’s version too. There is another one; the medical community’s version. Respiratory doctors, gastrointestinal doctors, and gastroenterology call the hiccup Synchronous diaphragmatic flutter, or SDF. It has another alias too: Singultus. The medical community says Singultus is somewhat unpredictable and an involuntary contraction of the diaphragm simultaneously with the contraction of the larynx and complete closure of the glottis…which basically is a shut-off valve for your air intake. Reasons for the “shut-off” are generally believed to be triggered by minor stomach upsets. Then there is the Other more extensive version of Why the hiccup… the one I find fascinating. But first, all of you will meet our second fiendish criminal and crime-scene, street-name: the Never-never-Land jerk. QUIET all of you! There’s more. Brain, M. is shifty too. The report is that Brain has a rather diverse personality and a huge creative ego; some say conflicted. He will not be easy to track down so listen up! The medical experts say Brain’s most common shiftyness while asleep are rapid eye movement while the rest of the body and limbs stay still, making it difficult to know what’s going on in that head. If Brain is watching a fox chase a rabbit, the eyes will follow the chase (in his head) everywhere, but if he’s riding a bike or jogging, you would never know it. Stealthy S.O.B.! Fortunately, we’ve got a deep undercover mole inside the operation. They report that as Brain gives in to watching and listening to business inside and outside the “organization,” Brain begins to entertain himself and relaxation/sleep creeps in. That’s when things get weird. A struggle begins over control of the motor system between nocturnal operations and daytime operations; Brain splits into two different managers while the fight ensues. Both keep intruding on the other’s territory until the dreamy rest personality prevails. These are the preliminary reports from within and our ongoing investigation. 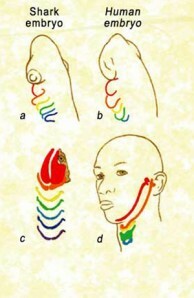 However, as mentioned, there are Other developing versions and theories of why Diaphragm, T. and Brain, M. work this way. Carter turns on the overhead projector and begins. Both shark and human embryos (a, b) have similar gill arches (the brightly colored elements). In sharks, the cells in these arches become bones, nerves, arteries, and muscles that support the gills (c); in humans, they form the jaw, ears, larynx, and parts of the throat (d). The annoyance of [Diaphragm and] hiccups also has its roots in our fish and amphibian past. If there is any consolation, we share that misery with others. Cats and dogs, like many other mammals, also get hiccups. A small patch of tissue in the brain stem is thought to be the center that controls that complicated reflex. Our tendency to develop hiccups is another influence of our past. There are two issues to think about. One is what causes the reflexive firing of nerves that initiates the hiccup. The other is what controls that distinctive hic—the abrupt inhalation and the glottis closure. 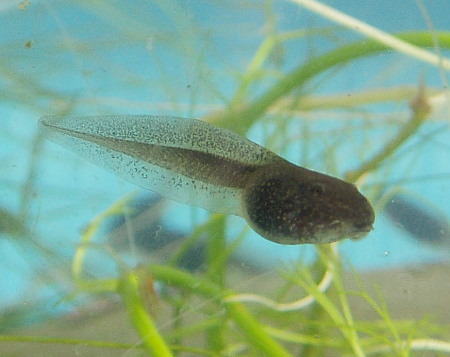 The nerve action is a product of our fish history, while the hic is an outcome of the history we share with tadpoles. [The theoretical conclusion is this:] The genes that control all of this structure [and restructuring] were originally used to build the bodies of ancient worms, flies, and fish. Every part of us tells this story: our sense organs, our heads, even our entire body plan. Dr. Shubin stops and turns off the overhead projector. “The rest of my studies, data research, and theories can be found in your individual packets placed in front of you. Sargeant Carter?” Click here for his article. “Thank you Sargeant” as Coolidge flips on the projector again to reveal an image of lemurs sleeping in a tree, he begins “Paleontology, more specifically Vertebrate Paleontology and Paleoanthropology, are suggesting that our ancient primate ancestors, following Dr. Shubin’s tadpoles of course, also had our hypnic jerk. They still do!” Dr. Coolidge changes the image to a fatigued woman asleep over laundry. 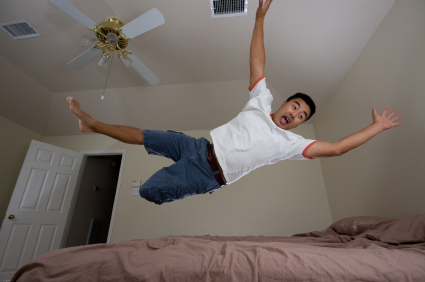 “As Sargeant Carter spoke about earlier regarding the battle between Brain, his working fatigue, and nocturnal operations, the body slips into a limbo-like state and Brain doesn’t want to give up any control.” He flips to the next image, a man “falling” over his bed, but actually still lying in it. 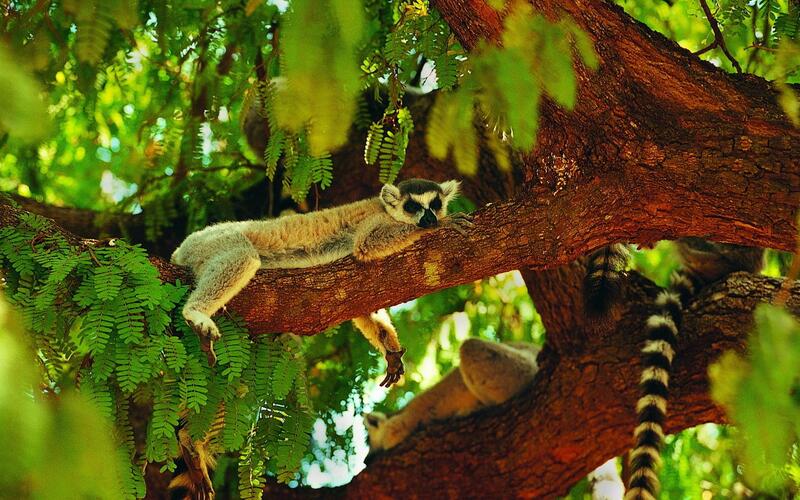 Primates sleeping in trees also mimic this hypnic jerk which for them is an archaic reflex to the brain’s misinterpreting the muscle relaxation accompanying the onset of sleep as a signal that the sleeping primate is falling out of a tree. 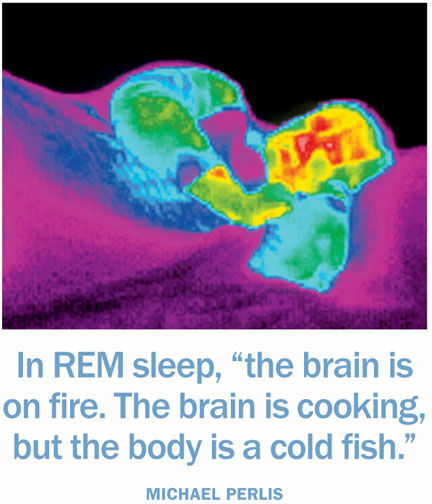 The reflex may also have had selective value by having the sleeper readjust or review his or her sleeping position in a nest or on a branch in order to assure that a fall did not occur. Dr. Coolidge turns off the projector and begins passing out packets of his and his colleague’s study and theory… “Inside these folders you will all find mine and Dr. Thomas Wynn’s alternative theory of Brain, M. and his hypnic jerk behavior. Examine it closely.” Click here for the study.